A quick stop in at our local Goodwill paid off tonight with a couple of late 1960’s horror anthologies. 1. THE OCCULT WORLD OF JOHN PENDRAGON Edited by Brad Steiger (1968 Ace Star Book) contains “predictions, experiences, and tape-recorded dialogues by and about England’s most celebrated clairvoyant and prophet.” I don’t know about the accuracy of his predictions but with chapters titled “The Devil’s Telepone”, “Cursed by a Worm”, “Satan Dipped His Nose in Cold Water”, and “The Strange Deaths in Room #14”, I’m looking forward to giving it a try. 2. HAUNTINGS AND HORRORS: TEN GRISLY TALES Edited by Alden H. Norton (1969 Berkley Publishing Corporation) has stories by Ray Bradbury (“It Burns Me Up”), William Hope Hodgson (“The Albatross”), Robert Bloch (“Head Man”) and Robert W. Chambers (“The Maker of Moons) that I didn’t already have in my ever-growing library of anthologies and collections. The book also contains “The Delusion of Ralph Penwyn” by Julian Hawthorne, “The Temple” by H.P. Lovecraft, “The Prophecy of Monsters” by Clark Ashton Smith, “No. 252 rue M. Le Prince” by Ralph Adams Cram (a favorite of mine), “Over an Absinthe Bottle” by W.C. Morrow, and “The Soul of Mozart” by W.E.P. French”. As with most anthologies of mine, I’ll pick and choose which stories I’ll read, so if there’s one you’d like me to highlight here at Horror Delve let me know in the comments. 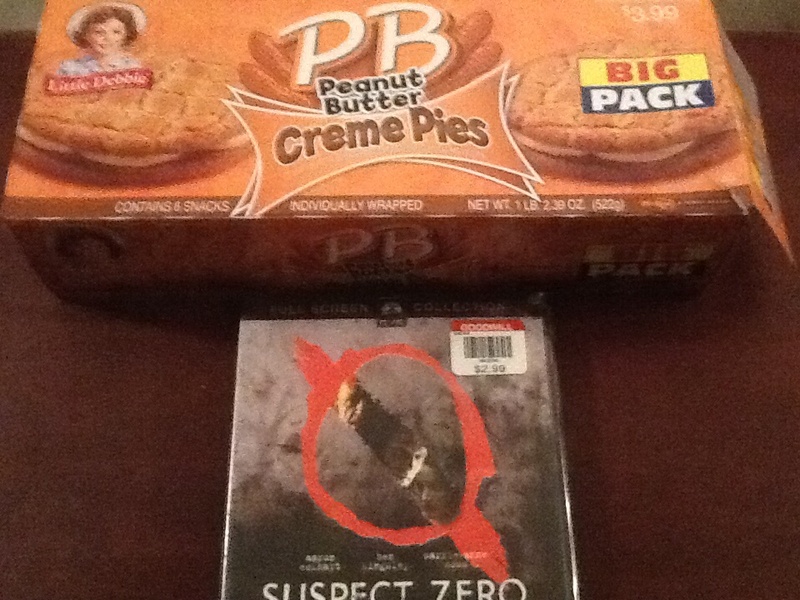 I also picked up the DVD for Suspect Zero. I don’t recall being a big fan of it when I saw it a few years back, but I like the remote viewing idea and want to give it a second look in the near future. I have to admit i found a great collection ‘Beyond The Curtain of the Dark’ from the 60s, which I am thoroughly enjoying, great cover art too. I looked it up and it does look like a neat collection. Edited by Haining too, which is always good. I saw a few different covers for it. Is yours the one with the skull or the Frankenstein Monster? The Frankenstein, I thought the curtain with snails on was a very neat touch given the Highsmith story. Definitely a cool cover! Sounds like it has some great writers included in it as well.